His street life took a toll on him. He lived his short 4 years on the streets of South Dallas but when we took him into our rescue, he knew nothing else but love. He went to the bridge after a long battle with a high positive heart worm case and bacterial pneumonia. 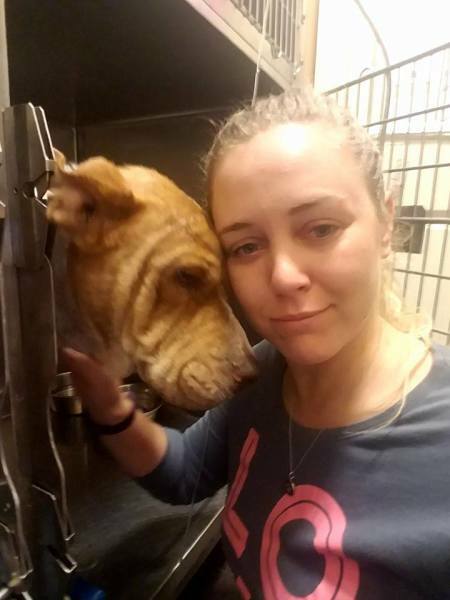 His foster mom, Kaylin, was devastated as we all were. Indio didn’t know it yet, but his foster home was going to be his foster fail home. This courageous and gentle boy grew to know what it felt like to be a normal dog, playing and relaxing in his home. He wanted to live but his medical struggles were very advanced. We tried everything we knew to save him. Darla welcomed him to the bridge, with open paws.